Go just a little bit bananas with this second grade freebie! This resource includes two student pages that cover two language standards. 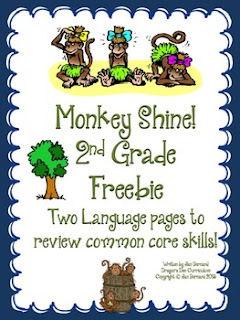 The resource is taken from a larger product called "Going Ape over Second Grade Language Arts Common Core!"